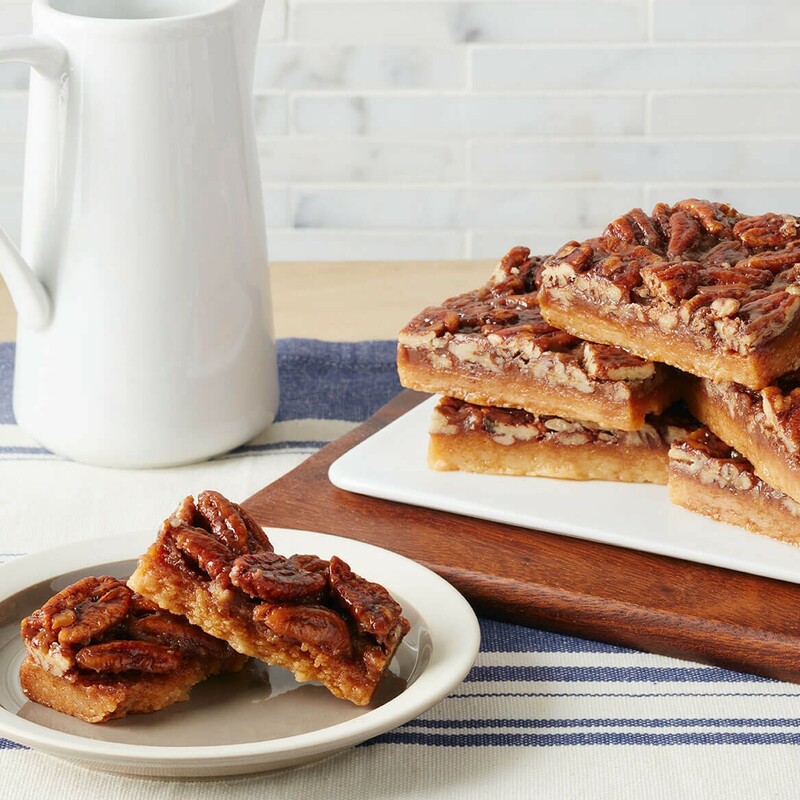 You'll think they're nuts if they share any of these chewy, unforgettable pecan squares! Crafted at our Southampton, NY bakery using only the finest ingredients, these tempting treats are baked to perfection and packed in our signature green gift box to make a sweet surprise for any occasion. Want to create your own variety pack of bars and squares? Call the Bake Shop Team at 631-257-5830 between 9 am and 5 pm EST. Excellent...tasty , like eating homemade pecan pie...! Definitely reordering.. 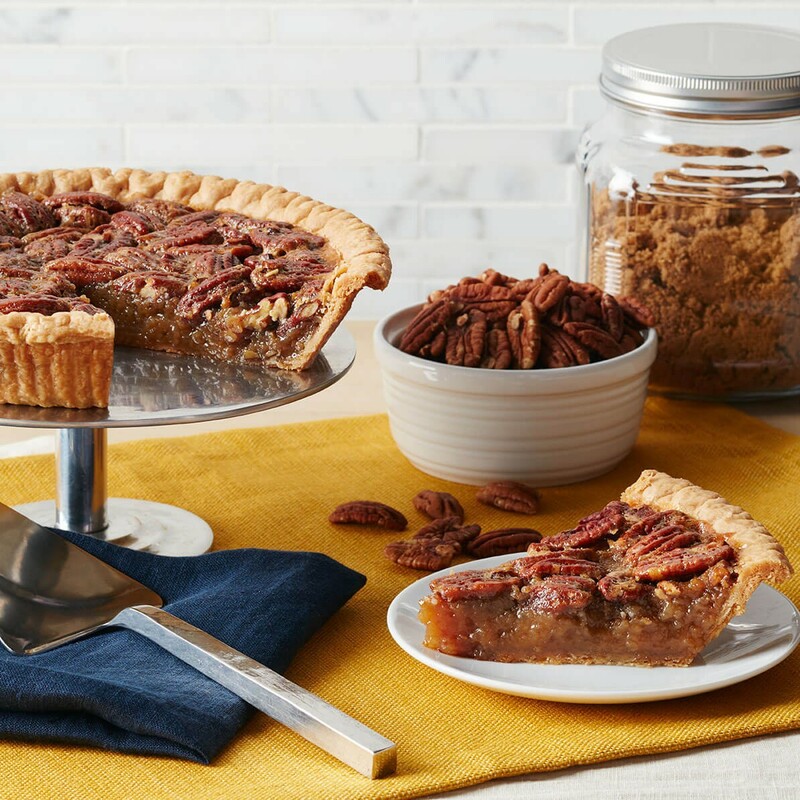 I used to work in Southampton, many years ago, my treat was to drive there, on a Friday, and get a batch of these Pecan Squares, they are to die for,, as they say. I now live in Knoxville, Tennessee and I was so happy to see the cookies on at local stores, wish they had some of these, but they are worth ordering on line. Believe the hype - they are that good! These are by far the best prepackaged dessert I have ever tasted! You could buy them, unwrap them and place them on a platter and tell your guests that you baked them yourself and they'll be begging you for the recipe. Believe the hype - they are that good! I ordered pecan squares for my mother in law and she called to say thank you, and say this dessert is very yummy. I absolutely love these and used to buy them at the World Market in Nyack but they never seem to have any when I go. These are sooo delicious and I'm glad I can just order them online. Great little gifts to say thank you! Best product and you need to feature a bar gift set! This is your BEST product! OMG!!! The best ever! The crust--to die for. Huge pieces of pecans. Delicious filling--not too sweet. These should be illegal!!! But I'm glad they're not! I cannot say enough about how much I love the pecan squares. They are melt-in-your-mouth delicious! They have become my new favorite of Tate's goodies!